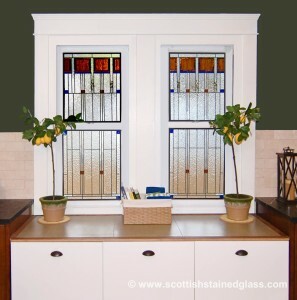 Due to the fact that Scottish has been well-established in the Houston metropolitan area for a long period of time, we are also now one of the top providers of stained glass in Bryan-College Station. We have recently created several stained glass doors and windows for the newly constructed homes in the area and have also designed several commercial and religious installations as well. Whether your project involves a kitchen window, bathroom, entryway, or ceiling, we’re confident that we can design a stunning work of art for you. There’s nothing that adds more style to a home than a unique architectural feature. A custom stained glass installation is a creative way to add elegance and refined style to your home in Bryan-College Station. Due to its reflective properties and intricate design, stained glass can create a striking appearance for your entryway, kitchen, bathroom, basement, and more. And you can completely customize your art by selecting from a wide range of colors, textures, designs, and styles. With this simple renovation, your home is sure to be the talk of the neighborhood. If you own a business in BC/S, you probably get a lot of traffic from the local sports scene and TU students. But that doesn’t mean you aren’t taking measures to fight off the competition. Installing custom stained glass is a great way to market your business and make it look more appealing to potential customers. Whether you want a design that’s modern and trendy or classy and elegant, we can create the perfect stained glass installation for your business. 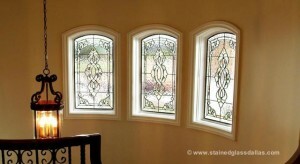 Call Houston Stained Glass to get started on having a beautiful piece of art for your home or business. We’d love to design a unique stained glass installation for you.